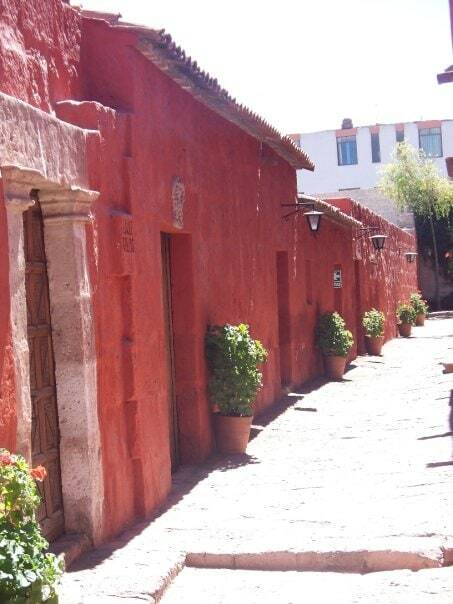 They call it the “White City.” Rather than the usual red cement blocks that form the buildings of most of Peru, the people of Arequipa traditionally form their houses out of a white volcanic stone known locally as silar. 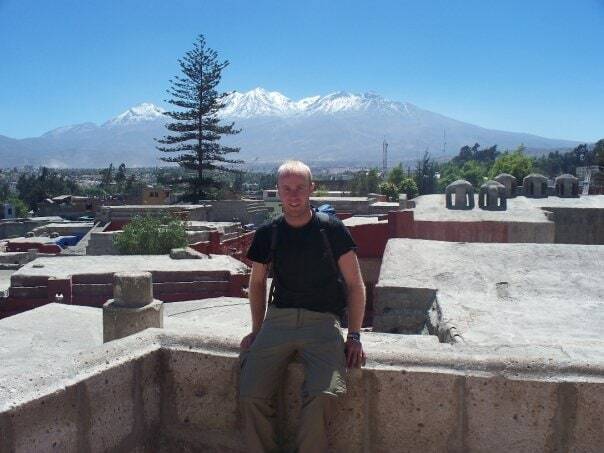 However bland a city of nothing but white may sound, Arequipa is home to one of the most picturesque back drops in the world, and it is residence to one of the more interesting covenants anywhere in the world: The Santa Catolina Covenant and Monestary. disappointed with a single photograph that they take. The Santa Catolina covenant’s milk white and buttery smooth walls have been glazed over with think and pure layers of blue, yellow, and red paints. 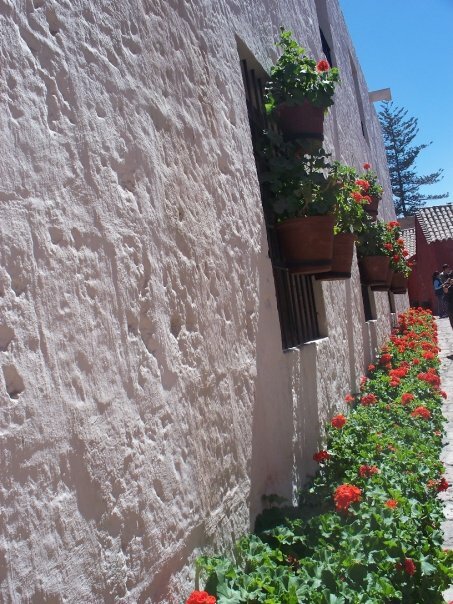 The hallways act as small pedestrian highways lined with bushes and hanging baskets of flowers that match the solid colours of the walls. The contours of the walls are as smooth as the colours that are draped over them. Encapsulated by a heavy and bland fortress-like barrier, this place truly is an urban oasis, kept quiet and hidden from Arequipa’s noisy city center. 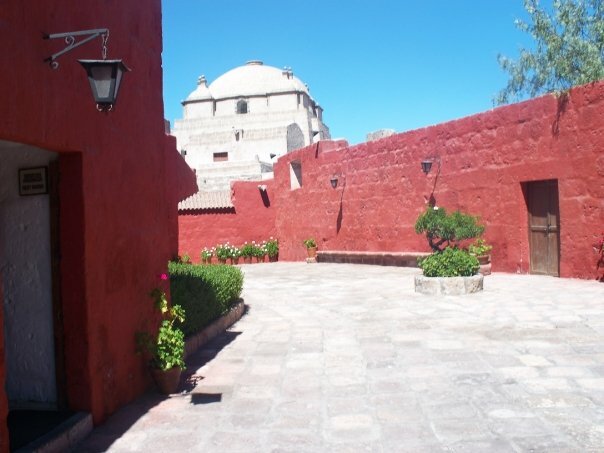 Visitors are awed by the peace and tranquility held tightly by this refuge. too will garner a significant amount of your attention. The impressive, and still active, Mt. Misti stands proudly above the city. Its conic head is nearly always capped with a wig of bright white snow and always seems to be standing guard over this proud colonial city. The weary traveler often dismisses cities like Arequipa, with the thought that it is just another Latin American city, many of which can have similar feels and vibes. But the White City truly is distinguishable in many ways. Even the people of Arequipa themselves are reluctant to call themselves Peruvian. They prefer Arequipenans, and some of them have even gone as far as to print their own passports. The city has a character all to its self; the people are as strong as the heavy walls that border their covenant; and the city has a charm that is only truly experienced though a couple days worth of exploration in this noble urban jungle of volcanic white.